Are we obsessed with Varroa mites? Those treasured folks who comment on my site often force me to re-visit an issue. Sometimes they alter my thinking, sometimes they reinforce it, and sometimes they send me in new directions. The careful re-inspection of an issue can be both illuminating and humbling. I have no problem placing blame on Varroa if that is the cause. However, the obsession with [this parasite] needs to stop. Bees are supposed to be the obsession. Varroa cannot drown out all other conversations. Beekeepers dismiss being told it’s Varroa because they are told it’s Varroa nearly every time they bring up a loss. A continued conversation becomes a broken record. Club presentations and discussions are infested with this myopic view. . . . Though it is a problem, I don`t like seeing it portrayed as THE problem. Whoa! This caught me up short. Bryan’s perspective is drastically different from my own, but I immediately realized that the amount of emphasis given to Varroa could vary wildly depending on your club, your reading material, and those beekeepers you associate with. I agree that honey bees should be the main attraction and that discussions of Varroa should not preempt all other conversations. But I find that beekeepers—especially newer ones—tend to sweep the discussion of Varroa under the table. Most beekeeping books list Varroa destructor as an “also ran,” usually buried in a section that lists other parasites and diseases. If anything, I think meaningful discussions of Varroa are lacking. In my view, the most overworked topics are feeding and swarming. Seriously, how many different ways can you explain how to make 1:1 syrup? How many times can you explain why honey bees swarm? It’s mind numbing, but beekeepers need to know these things so it is logical that they ask. Truth be told, I often worry that I don’t say enough about Varroa mites. Furthermore, I believe Varroa is the problem, and I think most people who kept honey bees before Varroa would agree. The point of my previous post was that collapse by Varroa is often mistaken for absconding. But Varroa mites—or more accurately, the diseases they carry—are responsible for a wide array of maladies that are often mistaken for something else. When we don’t see physical evidence of mites—that is, when they are not parading across the bottom board with flags and banners—we tend to blame the something else, whether that something else be absconding, queen failure, starvation, cold, moisture, Nosema, or yellowjackets. Although they exist, none of these other ailments is as common as infection by Varroa. Bryan observes that, “Beekeepers dismiss being told it’s Varroa because they are told it’s Varroa nearly every time they bring up a loss.” That dismissal is sad because, most likely, it is Varroa that caused their loss. If the answer is dismissed, the problem will not go away. If that beekeeper doesn’t change his management methods, the same will occur again. As I’ve said in previous posts, every beekeeper is also a mitekeeper, and the second most important thing a beekeeper can learn after honey bee biology is Varroa destructor biology. Once you understand those two things, you are ready to become a successful keeper of the bees. At that point, you will also be ready to decide how to handle the mites—whether you will use commercial methods, so-called natural treatments, or start your own breeding program. Those personal decisions are up the individual beekeeper, but they can’t be made wisely without an understanding of both honey bees and Varroa mites and how they interact. Do beekeepers obsess needlessly about Varroa mites? Does the average beekeeper know enough about mites to make good management decisions? If Varroa mites are not the major problem, what is? If discussions of Varroa are drowning out “other conversations,” what conversations are missing? Do you want to see more or less about mites here on this site? Thanks for anything you can share, and a special thanks to Bryan for his thoughts. Do beekeepers obsess needlessly about Varroa mites. Maybe not needlessly, but there are those in my club who bring up varroa as the cause of every *problem*, not just loss. Like the boy who cried wolf, sure there are wolves out there but it’s hard to take the ceaseless clamor seriously. Well, I’m pretty average and it’s become clear that I do not know enough. One of a handful of major problems. Well, with those who ceaselessly cry out “varroa,” starvation, moisture control and other overwintering issues, etc. Do you want to see more or less about mites here on this site? Of course, more. Your evidence-based approach is totally refreshing. Good point on the yellow jackets. Which came first, the jackets or decline due to mites? I, for one, have been blaming the jackets for all of my losses, but after your absconding vs varroa post, I think I’ve been blind to the real problem. If only people would stop crying wolf. I think that recent books and editions have a lot more coverage of mites than you imply. Was there ever a time when there were no varroa on bees? Varroa infestations were first discovered in North American in 1987, less than 30 years ago. My first year in beekeeping (2014) I was naive and uninformed about Varroa. Yes, I’d read about a little about mites and heard other beekeepers talking about it…but I was several steps behind on the learning curve, and by the time I finally was getting up to speed, it was late October, and too cold to do any mite treatments plus I was in denial thinking that the bees would be healthy enough to fight off the varroa (Big OOPS! I never heard anyone explain that many mite treatments were temperature dependent…so I lolly gagged behind schedule trying to figure out what treatment to use–and then it was too late to do anything). Come mid-January, my solo hive had collapsed. Had the State bee inspector come out to help me do a post mortem, only to find out that the bees were testing at 14 MILLION spores for Nosema. Sure…nosema was what finally killed them, but lack of mite treatments is what sent them down that path. By 2015, I had immersed myself in bee books, was taking a Master Beekeeping class thru the Univ. of MT and was asking a lot more intelligent questions about varroa–and determined to get my hives through the winter healthy. I used oxalic vapor treatment and killed thousands of mites (appalling to see 200-300 mites dropping PER day for over a month on each hive). My plan moving forward is to do an oxalic vapor treatment if needed in early spring (as soon as it’s warm enough to check to see what the mite load is) and then be very aggressive about mite treatment going forward. I think that new beekeepers need really straightforward information about mite management. The problem is there are 100 different answers to every question, and too many choices of treatments –all with their pros and cons. I think having a very clear to understand chart about treatments–and remove the idea that it’s “optional” in the minds of new beekeepers would help a lot. And as much as I love the idea of natural beekeeping — I think that line of thinking is dangerous for new beekeepers unless they have a very experienced mentor to help them. A solid approach of integrative pest management is a much wiser methodology today. So I vote that we need more discussion about Varroa and a clearer understanding of the treatment choices and the risks of not treating. On Miriam’s chart can we have an indicator of how to apply the info depending on the geographic region? Much of the information available is written for a beekeeper with hives that go dormant for the winter (for lack of a better term). In southern areas the hives are active (mostly) all year, which provides different challenges. Bees are active all year even in northern hives, where they spend their days actively keeping the cluster warm. But yes, I see your point. However, most varroa treatments are temperature dependent more than calendar dependent. That is, they have to be applied either above or below certain temperatures, which would be the same regardless of geographic region. Rusty, I was one of those who thought there was too much focus on Varroa and that understanding their biology was just too complicated and really just skimmed the surface whenever the topic came up. Then I got hit last year, and hit hard. I had to do a crash course on their biology and reproduction. I had to do fast and furious research on how to treat them in the heat of Texas summer when so many treatments can’t be used due to temperature extremes. And I had to learn how and why the population explodes in late summer. Fortunately, I was able to find answers to all that on your website, on scientificbeekeeping.com, and from the publication put out last year by the Honey Bee Health Coalition. In answer to your question about the average beekeeper’s knowledge, no I don’t think the average beekeeper knows enough to make good management decisions. I talk to so many who still use powdered sugar as a management rather than assessment. Now that I have a much better understanding, I’m ready to move forward. I used oxalic acid vapor on all my hives this morning and will do more assessment on mite populations during the year. However, there’s so much else I want to learn about bees beyond Varroa control, especially queen rearing, which is another complicated topic. Thanks for all your research and sharing your knowledge base with us. As a new beekeeper a few years ago, I tried to “go natural”. Reading your column regularly finally convinced me to battle the mites instead of buying nucs every spring to replace my dead colonies. Finally, some success. Most eye-opening was the result of my first oxalic-acid treatment this past December. Four days in a row, the bottom board insert was covered up with dead mites. Yowza. Count me a believer (and an annoying proselytizer!). As a relatively new beekeeper, the thing I find most frustrating about the Varroa subject is there are so few people that describe a reasonable view about them. The opinions on how to deal with them are almost militant in strength of opinion. Commercial keepers medicate regardless of presence of any pests. And if I had 100+ hives scattered miles away from each other, I wouldn’t have time to do an individual analysis of each hive, then do a custom treatment either. It’d be cheaper to just treat all and be done with it. Then you have the naturalists have the extreme opposite opinion. You treat Varroa with natural solutions (no meds) or they just die and if they do, call it Darwinism (we’ve had the discussion about the fallacy & hypocracy in that opinion). There is a middle ground. And so few keepers seem willing to stick their neck out and advocate for meds-when-necessary and share their take on what “moderation” is in practice. So you wind up with more and more newbies falling in one of the 2 camps. Add to that, the treatment options and their pros-n-cons are not well documented or talked about by pro keepers. After going through all the pros-n-cons as I could find them I, personally, settled on Mite Away Quick Strips (MAQS) which is 65% formic acid solution in soft, toilet-paper-like strips. I chose these because formic acid is quick acting, doesn’t stick around long, and penetrates capped cells (unlike other solutions). And MAQS 65% solution is found to have a significantly less likely negative affect on the queen than higher concentrations. It seems 80% and higher has a very real chance of killing the queen. From my experience of using it last year, I can attest that a hive in March with roughly 5-10 Varroa on the white board after a few days yielded HUNDREDS on the board the first day after the strips went in. Today, you are fooling yourself if you think your European honey bees don’t have Varroa. However it’s still up for debate just how to tell if your hive is managing them effectively or needs your intervention. BTW, oxalic acid, as n official Varroa treatment, wasn’t approved when I bought my bucket of MAQS. I’d really like to hear from people as to whether oxalic acid is better than formic acid and their reasons. Well, I have to count myself among those who, after four years, is learning something every season that I didn’t know last season. I’m gradually learning what I’m looking at and what the rhythms of my beekeeping year are. Maybe I’m a slow learner, but there is so much information out there that I’ve had to compartmentalize it to make progress in what I know and what I don’t know. I’ll take as much information as I can get from your site, Rusty, because it has helped me more than any other source I’ve found. So I want to know more about parasite control now that I have sort of mastered my annual calendar and can feel like I’m taking better care of my bees. That said, I’ve still lost one of my two hives for the last three winters – usually between December and the end of January. I’ve usually lost the older of the two. And I’m lucky that every year I have had a harvest! So I’ll start another nuc this spring and hope that by then, I’ll have three going strong! Oh, and PS – after five days of bitter cold since the last time I visited my hives, and now some snow and rain – I’m holding my breath for some fair and warmer weather next week so I can check and make sure they’re all ok. Maybe I’ll make it into the spring with both of them this season. From sad experience, Rusty, I now know that Varroa control is absolutely essential to keep bees healthy and their number one problem. Colonies must be checked by taking a sample mite count (sugar shake or alcohol wash of 300 bees) and treated if necessary or the colony will be at serious risk of failure. This cannot be overstated. Please keep up you excellent vigilance and more posts on this subject. Yes, some do. The obsession encourages an industrialised and treatment obsessed approach to beekeeping. They know enough. Do I need to be an expert on human diseases to know that a healthy diet and exercise are good for me ? In terms of the external environment, the main issue is forage – quantity, quality and variety. Pesticides. Fungicides. Insecticides. Monoculture. Attitudes to “weeds”. School playing fields with nothing but grass on them. A national beekeepers associated that is too close to the government and Farmers union and as a result does not oppose neonicitinoids. In terms of beekeeping practice : too much inspection, not enough insulation, too much feeding, obsession with honey yields, swarm prevention, no natural comb and therefore too few drones ( and usually too large brood cells, which itself encourages varroa ), bizarre obsessions with cleanliness. In terms of knowledge : what about the ecosystem inside the hive ? The relationship between fungus and all kinds of other organisms ( including stomach gut organisms ) inside the hive and the colony of bees cohabiting in the same space ? The importance of the flow of air, water and energy around the hive ? I think we should think more holistically about our beekeeping practice. There’s a train of though I quite like called “extensive beekeeping” ( see for example : http://www.beesfordevelopment.org/phocadownload/bfdj103%20extensive%20beekeeping072.pdf ). This starts with the whole environment. It tries to reduce the cost of each individual hive so that we can be less concerned with return per hive and more concerned with the bees in their environment in a wide area, a community of beekeepers tending a number of hives or nesting sites in a scattered area. It discourages large apiaries, since this is not how bees live in the wild and is often precisely the mechanism used to spread disease. It encourages swarming and drone production in the interests of vibrant, self selecting eco-system that includes bees. And it is quite tolerant of empty hives. In fact it relies on empty hives or other living spaces, some of which will be tended by humans and some of which will not be. The problem with excessive focus on mites is that it can stop us focusing on these other aspects of the interrelationships between the environment, bees and humans. The excessive focus on mites and other diseases also leads to overly frequent inspections which in itself leads to weakness and disease. It’s your site ( and a very good one ), so that’s up to you ! I have a couple of “newly empty” hives this year. The colonies probably died from a combination of successive swarms, robbing and varroa. If you did an immediate post mortem, you would most likely diagnose varroa. But I have a number of colonies, so I and my bees will cope. I have more now than I had this time last year. Last year I collected a number of swarms, some from my bees, some may be from other beekeepers, and some from a wild colony living in a tree. These “newly empty” boxes will be ideal candidates for swarms to move into. They are an opportunity and not a disappointment. Also, I wonder if it’s a coincidence that the two colonies that died this year were both within feet of another hive ? All the more isolated colonies survived. Might they have survived, even in a weakened state, if they hadn’t been so near to another colony that robbed them ? What was the real cause of colony death – was it really varroa or was it artificial proximity to another hive that led to robbing, weakness, and therefore vulnerability to varroa ? In other words, was the real cause of colony death that I had strayed too far from the natural spacing of colonies in that environment ? Or, going further – maybe there is nothing wrong with losing a couple of colonies ? Isn’t this just what happens when you have a number of colonies in a given environment ? I think the only other topics that should rival learning about Varroa mites or treating Varroa mites, is wintering nucs and coming up with a plan to help further along Varroa tolerant bees. Wintering Nucs ensures that you’re not importing unsuitable genetics for your area every year to replace your losses. Having adapted bees is one less stress for them while dealing with Varroa. Of course, not all hobby beekeepers will have the time or resources to do this on their own, but I see no reason a club couldn’t come up with a program in order share their efforts. Also, developing some sort of local breeding program would provide queens in order to replace susceptible ones. When a colony that is extremely vulnerable to Varroa is identified(mite count threshold), the colony could be treated an be requeened with one hopefully more tolerant. Pointing out that mites are the main culprit and treating the symptom isn’t enough, we need to have forward movement in increasing the health of the honeybee and it’s going to take everyone to do it. Rusty – Thanks so much for this extra post. I have just finished my 4th year of beekeeping and I am very discouraged. I have purchased 4 packages, 4 nucs over the years, collected 1 swarm, 1 cutout and done a few splits and lost all of them. I’m doing everything according to the best advice I can get from my active participation in Beemaster forum. I just can’t keep the bees alive through the winter. I live in a place with extremely variable winter weather. We didn’t see one single honeybee for the first 18 years we lived here. The year I saw my first honeybee here is the year I decided I wanted to have my own bees. We are desperate for help keeping the bees alive that doesn’t include endless treatments. I hear guys on the forum say they have 50 hives and haven’t treated for years. Is that even possible? I don’t know. If varroa is THE problem, then we need to talk more about it. If it isn’t, then let’s move on and find the real problem. We are taught ad nauseum to treat! treat! treat! Many of us don’t want to go there and so we learn all we can about the varroa and try to beat it with hygenic bees, breaks in the brood cycle, new queens, etc. Are these management decisions good enough? I don’t know. My bees keep dying. My problem is my bees keep dying during the winter. I have no idea why. We ventilate. We use quilt boxes. We use solid bottom boards. We put sugar blocks in. We use mouse guards. We wrap with tarpaper. We orient to the south for as much sun as possible. We put up wind breaks. They die anyway. Nice fall colonies die in fist sized clusters right under the sugar. Something’s weakening them. Is it varroa? The one that tells me how to figure out why my bees keep dying. It’s your site and you know a heck-of-a-lot more about keeping bees alive than we do. Post whatever you think will help. If you think it’s varroa, then keep at it. And bless you for it. I have learned so much from your posts. Thank you. As a relatively-new (four years) beekeeper in New England who has never gotten a hive through the winter, I DO appreciate your emphasis on Varroa. Because I am an organic gardener, I have resisted using poisons to kill mites, trying every preventive measure I could learn about instead. I am right on the edge of giving up. What would be most helpful to me would be in-depth explanations of a step-by-step (from least to most toxic) guide to IPM management of mites. People that own bees may dismiss the truth. Beekeepers do not. In an interview in the current (Feb. 2015) issue of ABJ Dr. Seeley mentions the 1999 Bond Bee Project (Live and Let Die). Post Varroa infection 80% of 150 untreated colonies died in three years. The good news is 20% survived. The bad news is that owned/keep/managed bees are at a significant disadvantage. The interview touches on multiple potental issues for managed colonies versus Varroa. Hi Rusty…great topic…the #1 stressor that pollinators face, managed honey bees especially, is lack of adequate forage. Most areas are only able to provide a brief window of spring nectar and pollen. Then from June through the rest of the season there is virtually nothing. Managed honey bees are forced into extreme hardship when we don’t have a full understanding of their nutritional needs. Providing artificial diets is NOT the answer. Once a honey bee colony becomes malnourished, it can no longer detoxify nor raise strong workers and queens. Colonies in these vast food deserts start to dwindle in mid-June and it’s downhill from there. A malnourished colony becomes disorganized and can no longer defend itself against everything the surrounding ecosystem throws at it. Pesticides, mites, hive beetles, moths all start to overwhelm the now malnourished honey bees and we start to see failing colonies in summer. Even the treated colonies, in most areas, are only able to hold on a little longer leading to winter losses. It’s a monumental problem the beekeeping community faces and I feel sorry for those taking up this challenge and making the huge investment in trying to keep bees. No matter how hard we try to provide for our bees by feeding artificial substances and treating, honey bee colonies are continuing to fail at enormous rates. Here in my area, many folks have already lost nearly all their bees, including several master beekeepers…and That was in December? I can only hope that we can start thinking proactively and realize that without abundant high quality forage from March to October, managing honey bees will continue to be a hardship and next to impossible to have colonies survive for multiple years. We must start planting more summer and autumn blooming trees and large bushes NOW!!! Thanks for bringing this up. Yes, bee forage in North America is nothing like it used to be. Gone are the days when you could set a hive in a field and fill ten supers. Changes in agricultural practices and use of weed control by farmers, highway departments, city councils, and homeowners have wiped out vast acreages of flowers. We all know good nutrition is important for the immune systems in humans, dogs, and pet bunnies, but we forget how important it is for bees. Whether you treat or raise treatment-free colonies, it is all for naught if they don’t have a good diet. You are correct: lack of high-quality forage may very well be the number one problem. I have one strong hive that appears to abscond in December. The hive is empty of bees and no dead around the box. During the season they appeared to be controlling the varroa with few being dropped on the bottom catch board. My other hive is surviving the winter so far and I had to treat for Varroa in the fall. There were many mites on the bottom board. I am not so sure that the varroa is the root of all bee evil, but I do believe the queen has much to do with problems. If the queen is damaged either by chemicals, yellow jackets or even birds, that will doom the hive to a slow death that one day they are gone. I have only lost one hive in two years to starvation, but half my hives are gone each year to other still unknown reasons. I wish I had the resources to do deeper investigation and analysis, but resources are either not available or too expensive. I very much appreciate all of you who answered my questions. You have given me many ideas about how to proceed with this discussion. Although I didn’t answer each of you separately, know that I have read and considered each and every comment. I hope I can come up with something helpful. I find my biggest challenge is keeping good notes. Annually or even within a year I change my method of documentation, contents, the detail and how I stored that information. Six years ago when I started we were told that mites weren’t a problem until the second year which was true for me. I didn’t take advantage of that time to educate myself about the future of those 2 hives. They slowly dwindled during that next year. I have since acquired, lost and replaced hives. I can’t review the history of the subsequent 5 years because of the inconsistency of my documentation and its storage – charts, notebooks, electronics. The mental storage is worthless! So I will acquire 2 packages this spring. Besides mites forage is a problem for me too because my hives are hosted on a lot only 3 blocks from and facing Lake Washington. The bees don’t have a 360 degree terrain of plantings. At least a 90 degree wedge of that is water. A spread of ivy the width of the property is probably a convenient domicile for the yellow jackets that were horrendous last fall. I have acquired equipment to apply oxalic acid vapor to manage mites and hopefully the colonies will be strong enough to ward off the hordes of yellow jackets that ignore my traps. I know lots of places, including the Bee Lab at Oregon State University, treat their packaged bees as soon as they arrive because they come pre-infected with mites. You were lucky not to have a problem your first year. Yellowjackets this year were the worst I’d ever seen them. But if our warm winters persist, I don’t expect anything different next year. Prepare for the worst. As far as record keeping, I don’t know. I keep everything in a notebook, written by hand. I draw charts for the hives, mark stuff off as I do it, and make observations. Trouble is, I have too many notebooks. I think the big issue with varroa is that beekeepers put treatments into their hive because its the done thing and its the time of year to do it. My approach is to observe the hive, the behaviour of the bees and only intervene when necessary. I do not treat for varroa or feed syrup to my bees but will only do so as a last resort. Instead I have moved to letting the bees build all natural comb and ensure they have surplus supply of honey to get them through the winter. My approach not only reduces my interference but reduces my costs and amount of work I have to do. My bees are thriving and very prolific and a recent check this week shows the colony to be very strong in the current winter period. I’m with Tony on this one, but with a number of words of caution. Secondly, just as the packages can arrive infected with varroa, so can the nucs. If the bees have always been treated then they will be weakened by that treatment and by the varroa and an isolated policy of just not treating on their arrival will almost always result in colony death. So Tony is quite right that in order for treatment-free to work, a complete and sustainable management approach is needed to replace it, with close behavioural observations and a raft of other measures to counter both the lack of treatment and the weakened stock of pre-treated bees. Basically, it needs the very best beekeeping. I totally agree with Adam. I think the main culprit is what I call “the system” — the collection of agricultural, chemical, medical, etc, practices that is characteristic to our society. Bees are exposed to so many stressors, that is very likely their immune systems have become compromised. A human with a compromised immune system can die of a simple cold. Bees are no different. I swear Rusty, if you had been born back in the Wild West days you would wear two six shooters on your hips, singing anything you can do I can do better! So many of us step into this beekeeping thing expecting it to be like taking care of a cat or a dog, with a little love and attention for the bees we expect to be harvesting gallons of honey by the second season. And then reality sets in, and after a year or two we realize that we know nothing and we are losing hives left and right. Quite often this scenario leads to a malady I recently heard referred to as BCD….Beekeeper Collapse Disorder. It is at this junction that one must count the cost and make a determination as to whether to continue or not. Thankfully, for those fortunate enough to follow her newsletters the heroin, Rusty, enters the scene. With her ability to anticipate the problems that we newbees face, her uncanny gift of being able to communicate to us in a practical, entertaining way the necessary technical information that we need, new determination is born. We too can reach down grab our belts, hitch up our britches, pull down the brim of our hats a little bit and go out one more time to face the bad guys armed with quality, timely information that beekeepers must learn and relearn. We learn to walk, step by step under the watchful eye of our guardians, realize or not you are the guardian angel, the mentor for many of us. Now let me step out of that character for a moment, with over forty years of business management experience and a life time in agriculture I have learned that paying attention to the small details and learning and relearning the basics are the keys to success. Thank you for being a wonderful teacher, leader, comrade as we walk this journey of taking care of the pollinators! I need to hire you for my PR department. With a recommendation like that, no telling what I could do. Thanks! There is a bee tree in the yard next to my house that thrives with no treatment and no feeding. I’ve lived here 6 years and it swarms every year. I have three treatment-free (no food, no chemicals, nothing) hives on my property and another somewhere else all from a swarm and hive splits off that colony and scooping bearding bees off the tree. I see bees outside my hives with deformed wings so I am sure (maybe wrong) there’s varroa. I am a neophyte to beekeeping. My oldest hive is in its 2d year. I know nothing. Maybe this year I’ll lose all my bees and have a change of heart, but I believe that bees can handle Varroa mites and that the answer is not putting chemicals or anything on them. Michael Bush says the solution to Varroa is to do nothing and let the bees figure out how to survive varroa. I am just a beginner but the tree next door tells me he’s probably right. On the other hand, there’s a guy about 30 miles south who requeens his hives just before the summer solstice and thinks that the break in the brood cycle breaks the breeding cycle of varroa and that seems to me a pretty smart way to reduce varroa in hives without polluting your honey. thank you for your blog. I read it every time you post as soon as I get and e-mail alert. If the colony in the tree is swarming every year, it is also getting a brood break. Brood breaks are a indispensable tool in the war with varroa, and as your feral colony proves, it works extremely well. Doing nothing sometimes works and sometimes doesn’t. It has a lot to do with how many colonies in your area are infected and how much they interact with each other. Beekeepers who are isolated from other beekeepers tend to do better with treatment free, especially when they are first starting out. It takes a while, years sometimes, to influence the bee genetics in an area to the point where the bees will survive without intervention. Your bees in the tree are a great resource. Rely on them instead of bringing any other bees into your area. I think the topic being overlooked in terms of “what IS the problem” is the toxic environment bees have to live in and the poisons they bring home to the hive. I believe this is the source of all the problems, at the root. Poisons weaken immune and nervous systems in bees, and are building up year by year in wild perennial plants and trees where bees forage. The queen takes the biggest hit, because she lives the longest. I have kept bees for five years only, populating my hives with wild swarms. My bees swarm each year, some of the colonies many times. One of my hives is 7 years old with no treatments and no intervention. It is a conservation top bar hive. I believe that putting pesticides and oils onto insects to kill other insects makes no sense at all. Like Michael Bush and an increasing host of others, I believe the bees need to make their own evolutionary adjustments to varroa. But because I am a hobby beekeeper who does not depend on my bees for income, I can take major hits. Sometimes, I am down to one hive, but the swarms repopulate my other hives each year. Last year, two of my hives swarmed a total of ten times from March through June. So far, I’ve been able to repopulate with two genetic lines of bees. All my bees come from those two original hives. One of them died, but I have her daughters. I’m not doing queen rearing. I’m not breeding or splitting or trying to hurry the natural order of things. I’m just tending my bees and letting them be, doing as little intervention as possible. I also believe being in and out of the hives a lot stresses the bees. I offer my bees good homes, overhead shelter from our dreary NW rains, and keep them at least three feet off the ground. I change out old comb, feed them honey when I have to feed, and combine weak hives in the fall. If a queen fails and I have open brood, I’ll give them some. Except for that, I let them be. I have great awe for the superorganism that is the honey bee, and I don’t believe we have the minds nor the science to fully understand or appreciate the utterly interwoven complexity and stunning mystery of their most precious lives. If we did, we’d have all these problems solved in no time, huh? Thank you for hearing my response to your previous article. It looks like your article became a channel for frustration with my local club and I apologize for that. The top of my head still smarts from being bombarded each month for a year with varroa mite presentations and it seems a bit raw. I put my foot down after a presentation that labeled non-treaters incompetent beekeepers and the dust still hasn’t settled. Maybe your article brushed an exposed nerve. Based on the comments, a couple certainly describe possible varroa triggered collapses. I have one full-sized hive that I know is struggling with varroa and it will be recycled into nucs in the spring. The brood and queen won’t make it. The nucs will have a brood break while the new queen emerges and mates. I will be pressed to make enough boxes before spring as it is. We have members that have successfully kept hives without harsh treatment for over 15 years and they have a significant following. Our club, just like most others, are trying to make that perfect recipe for beekeepers follow with an attached cause and effect chart. Their recipe partially works and most beekeepers are happy to know how much and when to add salt, err pesticide, to their batter, err hive. I don’t seem to fall in that category. One of our members lost all 200 hives to tracheal mites but few even talk about them anymore. Varroa and SHB have been around since I started doing bees and is just part of the package. In the end, it really boils down to finding what works for you and your bees in the environment they live in. I like to experiment a bit with my bees and like to read what others have done and how it has or hasn’t worked for them. Here are a few topics that I am focusing on and might be something others are interested in. –	Rose method (www.rosebeehives.com) – like experimenting. –	Natural food sources. I know its local but keep it coming. –	Healthy plants for bees? Onions, oregano, & other herbs? –	Spring equipment sterilization? Sulphur? –	Make queens with intent instead of splitting queen cells. –	Queen starting for a small apiary. –	Sharing resources with other beekeepers around me. –	SHB traps for nucs. They love small hives. –	Advantages of shade and sunny spots. –	I plan to build quilt tops – you covered that. –	Does sour almond oil work as a repellent? –	Continue research on wild queen differences. –	Improve my hive building skills/designs. –	Improve swarm trap configurations. –	Why do bees like dirty rain water and how to get it to them. –	Forget about temperature. Focus on moisture. Most don’t get it. I look forward to reading your future blog posts no matter the topic but might just skim the parts on varroa in the future. One point I would like to make is that I try to listen and understand both sides of the issue. You mention “a presentation that labeled non-treaters incompetent beekeepers.” This is not an unusual sentiment at all. The reason is that treaters feel that untreated colonies, which may drift or abscond, re-infect the colonies that they just treated. I believe there is some scientific data that this does indeed happen, but I don’t know how conclusive it is. The non-treaters, of course, feel that the only way to ever solve the problem is to let the genetics of the bee take over, and that treating necessarily defeats, or at least greatly slows, that process. Both sides have their gurus and messiahs but, personally, I don’t think either side has enough evidence to be as bullheaded as they sometimes are. IMHO, I think we still have to listen to each other. Because I feel strongly that we haven’t yet found the definitive answer of how to handle the problem, I remain on the fence and defend an individual’s right to keep bees in a way that makes sense to them. I neither completely agree or disagree with either side. I like to provide choices and alternatives through my site, but I won’t tell anyone how to vote. One other point. Many people think that tracheal mites have been largely defeated by the acaricides used on Varroa mites. 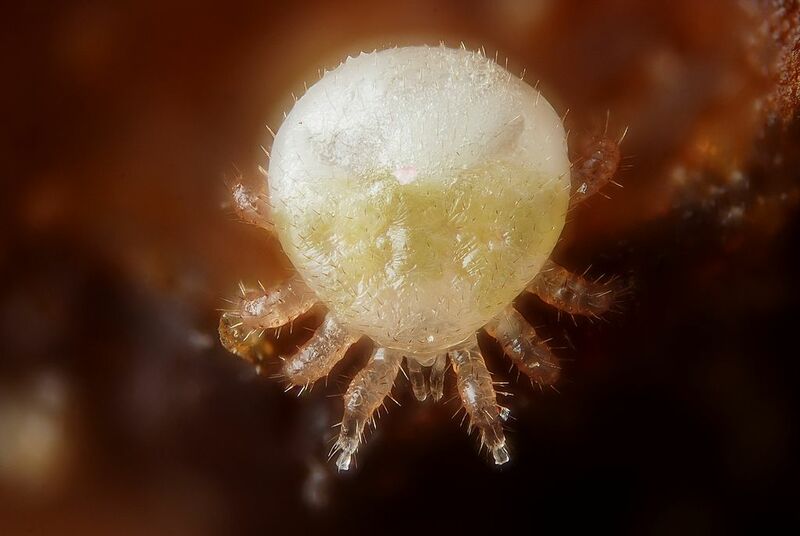 After all, a mite is a mite is a mite. Tracheal mites seemed to nearly disappear for a while, but lately they seem to be cropping up in isolated areas. Maybe they, too, are developing resistance. It’s only a thought; I don’t have any data on that. It seems to me varroa is for european bee health the opposite of what antibiotics and vaccination represented for human health. For humanity, there was a time before infection control and a time after. Before antibiotics and vaccines, lifespan was half of what it is today. Cancer, cardiovascular disease, chronic conditions existed but infection killed most people at an young age so they barely registered. Today we hardly worry about infection and some folk are crazy enough to be anti vaccination simply because they do not see people dying everyday around them with preventable and curable infections. Should someone against vaccines have to watch a child or adult die of tetanus, a horrible and totally preventable death, and they might find their position shaken. With bees it is the opposite. There was a time before varroa and a time after. Before varroa there were large feral bee populations in Europe, Middle East, North Africa and I imagine also introduced in the Americas. Kept bees had diseases and parasites, but losses were manageable and few. And then came varroa. It’s single biggest impact is one most people hardly think about. Wild, feral populations of European bees went practically extinct. You get the odd feral colony but it came from a kept source. Winnie the Pooh would not stand much of a chance of finding wild honey these days. Varroa wiped out in a catastrophic way the wild bee population. There was a time before varroa and a time after. The extinction of the wild European bee and of many locally adapted populations is a very sad and often forgotten aspect of the varroa problem. The wild populations were there through nosema, brood infections, etc. But they didn’t survive varroa. Do bees still die of other things? Yes. But I suspect these days pretty much like people with chronic diseases who become immunologically compromised die of secondary diseases. Varroa has become the bees HIV. We have become very good at controlling it, and that gives people sometimes a sense of false security. Some people stop their meds because they have zero viral count. But the virus is there. I have a friend who has lived with HIV for over 20 years now, from a time when drugs were few and highly toxic. He told me once that everyone he knew that tried something else because they didn’t like the drugs is dead. Some who also took the drugs are also dead. But only those who took them survived. Maybe it is a bit dramatic doing these comparisons. Thankfully it is ok to lose a colony, sad but ok. The death of a person is something completely different. But my point is that varroa, from what I have learned, is the alpha and omega of beekeeping these days. Pharmacs like thymol and formic acid can keep them under control, so much so that when a colony dies we are tempted to look at the secondary causes. But the primary cause will be, close to 100% of times, I suspect due to varroa, the same way people with chronic diseases are so much more susceptible to otherwise easily manageable problems, like a cold or the flu. The flu is what will take them but without the chronic pulmonary obstructive disease or the diabetes they would have survived. So, yes, I think Rusty’s view of the beekeeper being a varroa keeper is spot on. It doesn’t mean there aren’t other problems with bees but those only have a chance to manifest because we are controlling the mites. Without mite control colonies disappear before nosema or other diseases have a chance to strike, pretty much like people died of typhus, diphtheria, measles or smallpox before they had a chance to develop diabetes or angina pectoris. Sorry if all this is a bit dramatic. I’m in the health sciences and I often find myself doing parallels between bee health and human health. I hope I didn’t offend anyone and was able to put my point across. I think you put your point across very well indeed. I don’t know how it is in Portugal, but here we can add lack of decent forage to the assaults on varroa-weakened bees. It’s easy to forget how complex the bee problem is. Fortunately, agricultural in Portugal has not yet become as industrialised as in the US, I think. Soils here are not as fertile, the country is quite hilly making it harder to have large areas of monoculture. Also land ownership is still not as concentrated so there is more heterogeneity in the landscape. The two largest monocultures in Portugal are eucalyptus and pine, for wood production. And although they have a lot of environmental impact issues they are both ok for honey bees. Eucalyptus flowers here in late Autumn and gives bees a much desired abundant source of nectar at a needed time. And pine areas are normally covered with a bee friendly undergrowth, such as Ericas, Calluna, Rosemarinus and Lavandula. There are a lot of degraded soils, a typical mediterranean problem due to over grazing in the past and marginal agriculture on badly suited soils, that get covered in the same types of shrubs I mentioned that are bee friendly. So, although we have certainly felt the impact of some crazy european agricultural policies, where to get subsidies farmers have to clear all the land of some nice bee foraging habitats to be able to comply with the rules, I don’t think foraging is as much of a problem as there. Another factor is the type of bee used. In Portugal we use the local variety that evolved over a long time. It is not common for people here to use italica or carnica, we stay with the iberian bee variety. And maybe that also gives them a slighter advantage in surviving? So, foraging, although often a limiting factor, is not as big a problem as elsewhere, that’s my feeling. First off, thank you for your site. It is very upbeat and refreshing and includes great information. I am 5 years into beekeeping and at first kept one hive then realized 4 years in I needed a backup, so I got 2 hives . First year I counted the mites and powder sugar dusted with success and overwintered the hive, only to have it die in spring. Second year I took a split and got 150 pounds of honey from the one hive. Then I decided to go all natural and got lazy and did not treat for varroa and lost that hive. Last year I switched to natural cell size (regression), local queens and am still in process from that, but since the winter has been very harsh and I did not treat, I fear I have lost the two hives. I am discouraged, but will try again with new techniques. I am of the Michael Bush camp and want to do what I can to create natural bees that can survive in my climate (Chicago area). -Continue your discussions about varroa, there is always something to learn and new techniques to try. I will treat with either formic acid or oxalic this year. -it is a live and learn with varroa and each beekeeper will decide what works best for them. I hate varroa, I hate varroa, I hate varroa! If I say it three times and click my heals will they go away? I agree Rusty, varroa is the start of the downhill slide in the demise of a colony. What I’m tired of is all my “treatment free” neighbors who think that the colony can work itself out and overcome varroa. In the meantime spreading their varroa wealth and forcing us nearby beeks to treat more often just to keep those levels under control. I guess ignorance is bliss. I also have never met a more cheap community than beekeepers who don’t want to spend a dime on their hives for treatment/equipment etc and yet want to rake in all that honey!!!! Thanks for the rant. I love how you think, keep up the great work….you helped me be a better beekeeper! You need the ruby slippers, too. That’ll cost ya. There seems to me to be a gulf between knowledge and action. I am a firm believer in the necessity of regular mite counts, monthly at the very least between April and October here in PA. This is the only way I know of deciding if, and when, intervention is necessary. We say this consistently to newer beekeepers, heads nod wisely, but when we provide a place where local beekeepers can record their readings and compare them with others, very few do. Caller: I have a problem with my bees. Me: What is your current mite count? Me: Yes, you have a problem. So yes, sometimes we say too much, and sometimes the only (painful) solution is the awareness that comes with a major bee losses over winter from colonies that appeared to be strong in the fall but were not tested. I agree. Knowledge is power. Unless you know what the problem is, how can you make a decision on how to handle it? Lots of people assume there are no mites without ever doing a single test. Another thing that makes the varroa discussion confusing is whether or not to look at treatments as ‘antibiotics’ or ‘immunization’. We immunize everyone, but only sick people get antibiotics. And of course, they treat very different organisms. Most beeks want us to treat every hive for varroa – immunization style. However, mites really require an ‘antibiotic’ treatment. Constant unnecessary treatments leads to resistant mites [and other bacteria, etc.] We need to know exactly when to treat and how to tell when. The hard part is when I am vigilant doing mite checks, inspections, etc and still the booming colonies fail. Maybe what I need to know is how to tell when I have sick bees from mite vectored diseases even when mite counts might be low. I’d need to know signs other than just ‘mite count’ that would indicate treatment is a good idea. Then I’d need to know a variety of treatments for different temps, times of year, etc. so I wouldn’t have to wait until the temps cool down in the fall to treat. Also, it would be nice to know how the queen acts when a colony has DWV or nosema, etc. Do we need to requeen as well as treat? These are good questions. I think that one thing that happens frequently is people treat too late in the year. Your winter bees, the ones that will live a long time and raise the spring bees, need to be disease-free. If those winter bees are born already infected with viruses, they will not make it till spring. That means the colonies (at least in the northern US) need to be treated in August. When it comes, August seems way to early to treat. But the timing is key if treatments are to work at all. Rusty, the conversation should be about pedigree. Your post on genetics was spot-on and I hope many, many clubs use it to repeatedly engage their membership on the topic. Is there a honey bee problem that genetics cannot solve? Let’s talk more about the solution than the problem. I’ve met hundreds of new beekeepers over the years who enter the hobby with the good intention of saving the bees, but all they end up doing is saving THEIR bees so they can harvest honey. Why? Because the conversation is about anything one can think of to keep bees alive instead of seeking out bees that can keep themselves alive. It’s a difficult conversation to hold. Queen buying, introducing, etc is intimidating for new beekeepers and probably too much trouble for those who are already indoctrinated by the current conversations. The club I belong to includes the topic of buying better queens into its new beekeeper classes and will sometimes bring in a speaker on the topic. One such talk was immediately followed by questions regarding the annual ordering of packages; the opposite of obsession! It took me several years of queen buying to finally get a strain of Russians that has overwintered twice now, including daughter queens that were open mated in my yard. You won’t hear me obsessing over mites, but you will hear about my Russians. Thank you for an extra post, Rusty. I think lot of problems with mites have roots in low education about them. And also that there are sides (treaters, non-treaters…) that think their approach is the best and different side is completely wrong. New beekeepers are often confused and it is not easy for them to find out how to fight against mites effectively. I think we are not obsessed enough. Unfortunately, average beekeeper knows only basics. But without knowing Varroa biology and behavior in detail, you can do lot of mistakes. It is like not knowing honeybee biology and behavior – you can be a beekeeper, but definitely not a good beekeeper. I can speak only for our country, but it is very common that beekeepers discuss about mites quite often, but also very often they are wrong in their conclusions. I was not satisfied with mite situation and I worry about what we are using against mites and how it affects our bees. That is why I decided to go different way and start my research in the field of thermal treatment of bees – heat elimination of Varroa. It is not a common way, but it is very effective. Usually, we are used to pour something to our hives to fight Varroa (pesticides, acids…) or some of us try to let the bees find their own way to fight mites and breed them naturally without treating, but this is usually the worst way for most or all of colonies. But Varroa mites have also different weak spots, we are just not used to utilize them. Thank you for this article, I hope there will be more about Varroa on your blog! Varroa kills. FWIW, my approach to that reality was to learn to do alcohol wash counts and then do them regularly among at least a good sample of my hives. Then I learned the basics of Varroa reproduction so as to know when the best times to treat are, if it appears needed by the mite assays. I chose to use agents documented to be effective that have a low potential for contamination of wax or honey or development of resistance; formic and oxalic acids. Elimination of moisture dripping on the bees during the winter is critical. Quilt boxes filled with wood shavings did that for me. Insulated my telescoping covers with an internal 2″ thick foam board to cut heat loss through the top. Watched 2 hives dwindle and die before I started doing all the above. Autopsy on both showed lots of evidence of Varroa. Now have 20 hives making it through the winter just fine. 24-hr mite-drop check on a few hives after the oxalic vaporization treatment in mid-Dec during winter brood-break showed a max of 8. Be sure to leave them enough food for the winter also. Thank you for the info. I enjoy reading the posts. I would like to learn more about mite biology. I have heard several people with Russian queens doing fine without treating and living with the more aggressive nature. My approach has been to work with swarms and cutouts. In the past I have gathered some managed hives and they don’t seem to do well or just don’t stick around. I have decided to become more selective about my endeavors. I focus on cutouts of old hives and swarms near them or areas without apiaries. There are still feral bees in my area and keep track of all people keeping bees within 10 miles of me. I picked up a swarm from a feral hive that has been active for 10 years this spring. Yes, the bees don’t act like most other hives and has done a few things that has thrown me off guard. I did a cutout from a tree that has been there for at least 2 years and look forward to making a few queens from it. A few of my other hives have been around for a while. On the other hand, I found a hive built in the open UNDER the awning of a building and refused to introduce it to my yard. Was it an imported queen? It was within a mile of a known apiary. Most treatment free or low treatment beekeepers I have met have been with Russian or feral derived hives. My treatment-free bees are all ferals. I had Russians years ago, but they didn’t do as well as local feral stock. I also have some hives I treat. They are Carniolans that foster enormous mite crops. Unfortunately at this time we do not have a biological weapon against the Varroa mite. No creature is immune from predators, but we have yet to fine a suitable predator that will control the varroa and not harm the honeybee. An example is the mosquito that has little brown bats that control them. So I have bat houses around the neighborhood and I very rarely get bitten. Cats control mice, possums eat bugs in our gardens. Strateolaelap mites is a potential predator for the varroa, but has not given much success. In England scientists are working on a deadly fungus that will take out the varroa, but harmless to the honey bee. All are great ideas, but no cigar. Natural control is the best way to go in place of chemical warfare. Hopefully a good predator will be found. Hopefully in time we could eradicate the Varroa. There are genetic techniques under development which could modify an organism to e.g. only produce male offspring. Introduce one such male in your hive in spring and come autumn there would be no female mites left –> no eggs –> no more mites. The technology is there and is under consideration for e.g. malaria mosquitoes but faces various ethical and environmental impact concerns. For a very specialized parasitic species on which no other species depends such as Varroa those concerns to me seems less weighty. I am less enthusiastic about gene modification. I have fears of opening Pandora’s box of problems that we are not fully equipped to handle the unknown ramifications of doing this. We are eating Gene modified foods that for now appears to be wonderful, but who knows what is going to come back and harm us years in the future. Many years ago, CFC’s were introduced as a wonderful compound. used as propellants and air conditioner Freon. It was inert and can be taken internally without harm. It was widely used and touted as wonderful. Well many years later, this wonderful substance was not so wonderful. It was destroying the ozone, creating an ozone hole and letting more harmful ultraviolet light to pass through the atmosphere. Skin cancer rose, sunburns were more rapid and painful. Also contributed to global warming, heating the earths surface. I too believe that feral bees seem to do much better. At ten, I got interested in bees when I discovered a bee tree in the woods behind our house. My dad being a carpenter, built some hives and captured the feral colony from that bee tree. We kept that colony for years. However, I lost interest when I left for college. But dad was hooked. He never split the colony or bought bees. He simply captured the swarms each year and eventually had a dozen colonies. In the mid 80’s hearing of mites he built screened bottom boards with a plastic tray underneath coated in cooking oil to catch the mites. It worked! He seldom lost a colony even in the cold Pennsylvania winters… until he contracted Alzheimer’s a few years ago. With lack of attention the hives dwindled and he lost the last hive 2 years ago. Seeing all the equipment and perhaps feeling a little guilty for not helping him with the bees when he contracted Alzheimer’s, I slowly moved the equipment to my home outside of Washington, DC and began repairing the equipment. I have even learned how to cut out and assemble frames! My interest and love for bees returned. Feeling confident that I knew enough about keeping bees from my childhood, I decided to take the plunge and last spring bought a 3lb packaged of bees that thrived through the summer. However, they didn’t store much honey in the fall, and by October, 1000s of dead bees were in front of the hive. I used dad’s natural method of a screened bottom board and cooking oil to catch the mites. I thought it was working. This week I discovered my hive was dead. In frustration and madness I tore the hive apart and with the help of a powerful magnifying glass, discovered the bottom board covered in mites. My conclusion, feral bees are genetically superior to cultivated bees. To control the mites using the natural method requires the superior genetics found in feral bees. Mites are THE Problem! My name is Dr. John Vos and I am a beekeeper and just read your great article about the bee-virus also called VARROA, and all the replies you got. I definitely agree that the VARROA MITE is a major problem for most beekeepers, but there is more, so much more!!! In the late 1890’s some smart Belgian know it all professed that larger bees make more honey, so more profits!!! That is when all beekeepers started to use large cell foundation to create larger bees, followed by supply companies to fill the large demand of large cell foundation. Wild feral bees, as mentioned by some, are doing their own inborn thing make wax-cell and cells that measure 4.7 to 4.9 or 10 cells on 47mm or 49mm, contrary to bee supply companies sell foundation that make bee cells that are 5.4 or 10 cells on 54mm. The varroa problem persists because now these large cells give the mite all the room it needs for it’s breeding purposes and they have the same thing on their mind as all people, animals and plants: REPRODUCE. In the hives of our beekeepers ALL WORKER CELLS are ideal for the Varroa mite and the large 5.4 workers cannot keep up with the control of the Varroa “disease” in their homes. Only part of the workers is assigned to that job and it is too much work for a relative few to do so. The 4.9 cells in the small seize hives are too small for the varroa mite, reason why they can only use the larger DRONE-cells in a 4.9 hive. That makes it far easier for the 4.9 beekeeper to control the varroa mite infection, the small seize bees do that for him/her. Besides I can tell you that foundation is absolutely not necessary, since bees are perfectly capable to build there own cells. In my 4.9 TB-hives I provide only a small wooden ridge and my bees build their foundation right on to that. This gives me a great wax production and the same amount of honey as any 5.4 hive, since I have more bees per frame. As for pollination: more 4.9 bees make more visits than 5.4 bees. It’s a matter of averages. Only in the last 10 or so relies the name Michael Bush is mentioned as an advocate for natural beekeeping, but unfortunately no-one mentioned his urge to ALL to go back to 4.9mm bees. Due to genetic inborn hygienic behavior worker bees will open the brood-cell that harbors a Varroa mite and the bee larve as well as the Varroa mite larve will die. The cell is cleaned out and the mite will be dropped out. In the 5.4 cell together with new worker bee 1 young male mite and 2 mated female mites will leave the cell after 21 days. That is the result of successful mite keepers/bee keepers. There are lots of sites on google where more information can be found, since 4.9 cell has more advantages, like smaller cluster that is much denser for winter to preserve the right temperature, while smaller bees also need less storage to survive. Hope this was interesting the worried beekeepers and I look forward to hear from you. Warm regards and in health, Dr. John M. Vos, NMD. I absolutely agree that most of the issues we face with our bees are related to Varroa. I began beekeeping in 1978 and quickly built up to 20 hives. I did not lose a single colony until 1987 and that was due to the tracheal mite. When I tell new beekeepers that they act like they don’t believe it. You columns are very informative. Something I have noticed about modern times is man’s undying obsession with controlling everything. Including nature. One can look back 200 years and see “progress” as a massive failure where nature is concerned. When trying to control it, we often create nothing but more and more problems on top. Requiring more and more systematic solutions. Thus, we ourselves are often the problem. Because we want everything to be marketable. But nature in its raw form is not marketable. It’s like the difference between a fruit that grows wild everywhere VS a fruit that was man-made, patented, and sold under strict guidelines. And man will waste no time trying to convince everyone that his solutions are best. Where bees are concerned. Its obvious the mite problem is modern. Most likely created by man. Because if it were not, bees would have suffered long before now. But since this problem, we have been seeing MAJOR concerns over bee survival. Our solutions are like the medical industry. There is no interest in cures. Only temporary solutions to stay in business. My experience with all things nature is that the REAL solutions are found in nature and good practice. Not in man made form. People just arent looking enough at the right solutions. Newbie here with a few questions about Varroa. My brother and I started last year with a couple of hives and lost them in the fall due (I think) to Varroa. We are starting over this spring with a couple of packages and a couple of nucs. My question is that I am thinking of buying a thermal treatment product to treat for Varroa. Has anyone ever used this approach that can give some feedback about it? Thanks for any advice. Many people ask about these, but I haven’t heard any reports from readers. Does anyone out there use the thermal hives? Do you have knowledge about this and/or an opinion? Since I get this question a dozen times a day (or so it seems) I suppose I should write about it. Most of my posts on varroa feeding were written before this discovery was made, and so they reflect our previous understanding of how varroa work. The later ones mention it, but posts are not read in any particular order. But truthfully, I don’t think it changes anything for the beekeeper. Since the fat bodies are bathed in hemolymph, it was reasonable to assume the varroa were feeding on the hemolympth. Even now, additional research shows the mites ingest some small amount of hemolymph along with the fat bodies. That is only natural. If you eat the noodles out of your soup, you will get some broth along with it. The problem for beekeepers is that winter bees with depleted fat bodies will not be able to survive, or they will not be able to sufficiently feed spring bees. This means that mites must be controlled in late summer before the winter bees are born. Successful beekeepers have been doing this all along. So even if they didn’t know the mechanism of how it worked, they understood the necessity of healthy winter bees. Also, successful beekeepers frequently treat mid-winter and then feed pollen substitute after the winter solstice. This too makes sense because mites number will start to build along with the brood. What am saying is the best practices we used before are still the best practices. The only differences is now we know why.